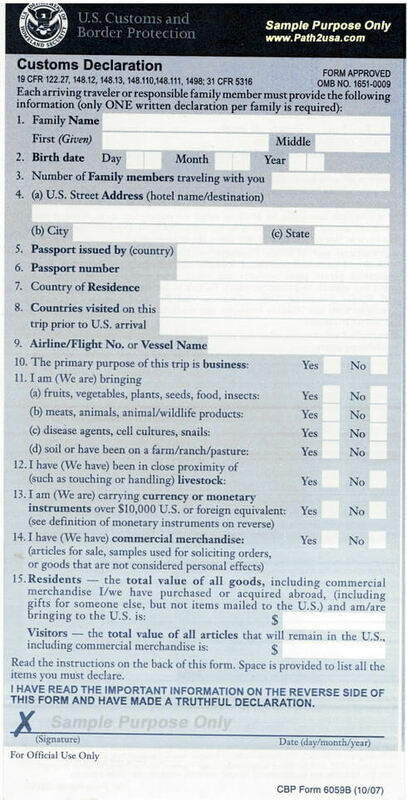 US customs declaration form 6059B is required to be completed and submitted at the immigration counter of Port-of-Entry(POE) by all passengers entering into USA. 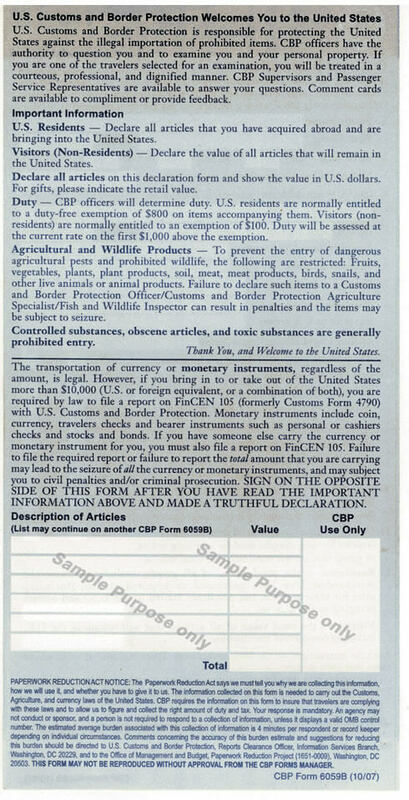 Following is a sample US customs form 6059B for reference purpose only. The appearance, color, or content of this document is subject to change by the issuing authorities.